Jobs such as software engineers and computer programmers — including web programmers — will grow exceedingly faster in the upcoming years. In fact, the Bureau of Labor Statistics estimates 488,500 new jobs will be added just within the IT sector through 2024. As new technologies become more complex and as computer systems continue to evolve, new job openings will be created in existing IT professions as well as burgeoning jobs in cloud computing. People who have earned a computer related bachelor’s degree or possess experience in different types of programming languages are most commonly the ones who will thrive as a web programmer and computer system analyst. Web programmers and computer systems analysts are both encapsulated within the broad-based information technology (IT) profession and are extremely important to keep computer programs and websites operating correctly. Alongside computer engineers and developers, web programmers and computer system analysts are responsible for helping launch new programs. These programs generally meet the needs of industry and business in very specific ways (like personal finance software WalletHub) or as seen in general applications like Microsoft Excel. Enabling computers to implement a software or web program is a primary role of web programmers. They also modify, repair, and update existing programs as a standard part of their job function. Many web programmers utilize computer assisted software engineering (CASE) tools to help write standard pieces of software programs in lieu of building each component from scratch. By utilizing CASE tools, programmers can then turn their attention to coding custom sections of the software or application. Web programmers also provide support and perform maintenance activities like debugging code and fixing various errors. Duties of a web programmer may also include testing websites and developing workarounds prior to launching a piece of software or website application into production mode. Web programmers might also elect to query end users to gain new insights into the application requirements and improved functionality of a particular program. After collecting new data, they will digest the information and meet with the management team to determine which features to incorporate in subsequent iterations of the application. In addition, many web programmers create new web system designs and workflow documents or simply update existing ones. They tend to develop or enhance applications using a variety of tools, techniques, and languages depending on the situation or requirements called out by the customer/end-user. Most web programmers work in an office setting or a computer lab, yet some work independently in a remote office or from home. Although overtime might be necessary when preparing for a new release or troubleshooting a time-sensitive problem, a 40 hour work week is often the norm. The computer systems analyst vocation is a mix of business and information technology. The first task of a computer systems analyst is to understand their client’s business and more specifically to learn how their client uses technology. The analysts will spend time to research the best technologies to help their client’s overall computer system which often includes a combination of hardware, software, and networks. The overarching goal is to synchronize hardware and software applications in an effort to efficiently communicate with other computers inside a respective network or series of networks. Computer system analysts also make decisions to best prepare a cost/benefit analysis for software upgrades. If management approves specific upgrades, computer system analysts will oversee the implementation of these new systems. Computer system analysts also test various systems and train people within their organization to communicate when issues arise with the system. When problems present themselves, the analysts spend time to troubleshoot the issue and provide timely solutions to keep things working properly. The computer system analyst job requires constant communication and collaboration with team members plus all other stakeholders within an organization. Computer system analysts are employed by a variety of industries that can range from health care to science to finance to banking while a large percentage of analysts work for computer system design firms. A bachelor’s degree in a computer related field is often required for entry level web programmer jobs. That being said, earning an Associate’s degree plus having real-world work experience from job, internship, professional certifications, and a work-study program is often looked upon favorably by employers. Earning a bachelor’s degree in computer information systems is often a great way to begin your web programmer career. Course work in this area normally involves introductory and advanced Visual Basic, programming in Java and C++, database concepts and programming, as well as a working understanding of internet applications. By the time graduates earn their bachelor’s degree, they will understand how to write code in a variety of programming languages, implement network theory and design principle, build applications, collect data, manage databases, leverage advance technical skills, have knowledge to excel in a web programmer career, and analyze software systems to determine significant features. It is also possible with your bachelor’s degree to gain an entry level position and use tuition assistance from your employer to continue your education and deepen your skill set. 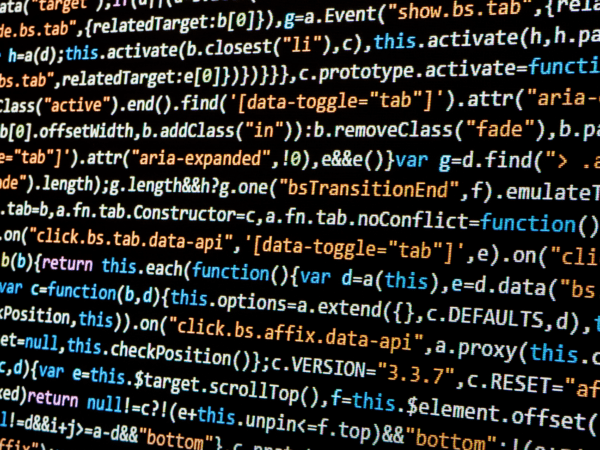 For computer systems analysts, a bachelor’s degree in information sciences is a great path to prepare for your career. The coursework ranges from social psychology and project management to software development and database design. It is also possible to get a bachelor’s degree in an adjacent field, like computer science in order to secure a career as a computer system analyst. Who Should Consider Web Programming & Computer Systems Analyst as a Career? People who are well suited for a web programmer career are interested in computers and technology, are analytical and able to work independently and very detail oriented. To help get into this career path, you may need to develop IT knowledge and programming expertise that comes with a formal degree. By earning a bachelor’s degree in computer information systems and earning industry-specific certifications, it becomes easier to become a successful web programmer after graduating from college. For people going into computer systems analysis, understand that you must have solid analytical skills, be able to interpret complex information from many different sources, and conclude the best way to move through ambiguity. Computer system analysts must also have great communication skills. Analysts will act as a conduit between the IT department and management thus the need to possess great communication skills and a high degree of diplomacy. Lastly, people who are considering becoming computer systems analyst must be creative. Finding innovative solutions to disparate problems and synthesizing it into a workable solution is a key characteristic of a successful system analyst. For additional resources, make sure to visit MatchCollege and subscribe to our blog for the latest in college information. Further research is available through national and regional associations such as the National Association of Programmers (NAP) and the IEEE.